180 features easy-operation 6-key keypad with mounting bracket, 0.56-inch/14 mm high bright-red LED, RS232 serial port for printer output, Gross/Tare/Net conversion, ideal for use with floor scales or as a remote display/keypad for other indicators. NTEP legal-for-trade. Whether your business is food processing or warehousing, shipping or bulk commodities, the economical 180 digital indicator with steel enclosure and swivel mounting bracket can meet your demands at the right price! 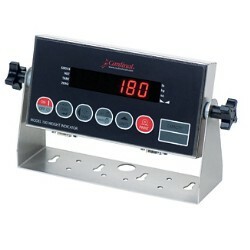 The new 180 low-cost indicator is great for floor scales, bench scales and basic applications. Includes serial port for printer or remote display applications. NTEP Approved. Cardinal’s model 180 digital weight indicator is an economical choice for use with floor scales or other weighing applications utilizing up to four load cells. The 180 features RS232 bi-directional serial connectivity for output to one label/ticket printer or to a PC. The stainless steel enclosure and highly-visible 0.56-inch/14 mm high, 6-digit bright-red LED display. The indicator’s versatile mounting bracket allows it to set on a desk or be mounted vertically on a wall. The 180 indicator can also act as a remote display/keypad for other Cardinal indicators. The 6-key keypad allows easy operation for a variety of weighing tasks including: Gross, Tare, and Net conversion. Continuous serial data round out the features of this economical American-made indicator. 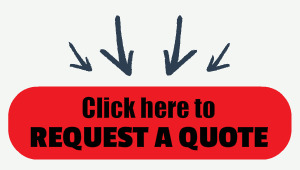 NTEP legal-for-trade and OIML certified.